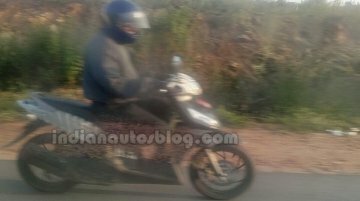 The TVS Dazz has been spied testing in Hosur, Tamil Nadu. 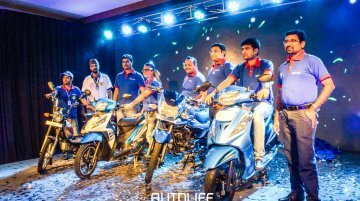 Details about the launch of the scooter in India are unknown. 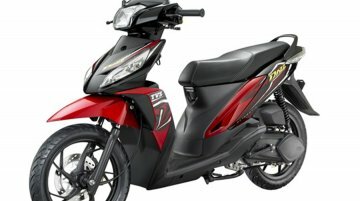 TVS currently sells the Dazz step-thru in the Indonesian market. TVS Motor Company showcased the TVS Dazz DFI at the Auto Expo 2016. The model is manufactured and sold in Indonesia, and has often been spotted testing in India. The Dazz has gotten a new..
Not likely to be launched in India. 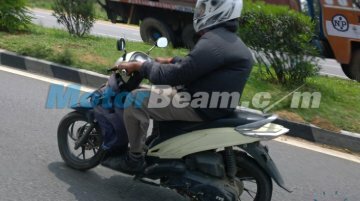 The TVS Dazz 110 cc step-through ('bebek' in Indonesia) continues testing in India and here is a set of spyshots from Motorbeam. 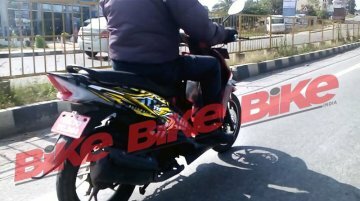 The TVS Dazz, the Indian two-wheeler giant's first automatic step-through (fondly called as bebek) for the Indonesian market, was spotted testing in India once again. Team BHP's Facebook group member.. 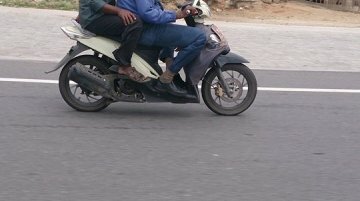 The TVS Dazz was once again spied testing in India by our keen-eyed reader Vinod Anand S. The underbone scooter was seen riding down the Hosur-Krishnagiri road. The Dazz was launched in Indonesia by T.. 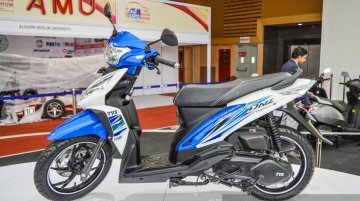 The TVS Dazz is the company's first automatic bebek (stepthrough motorcycle) for Indonesia. The bebeks are the most widely preferred style of motorcycles in the archipelago and TVS has quite a few..